In a busy spray tan business, there are a number of things that can damage your spray tan equipment – things that in a short amount of time could end your compressors life and render you spray-less. 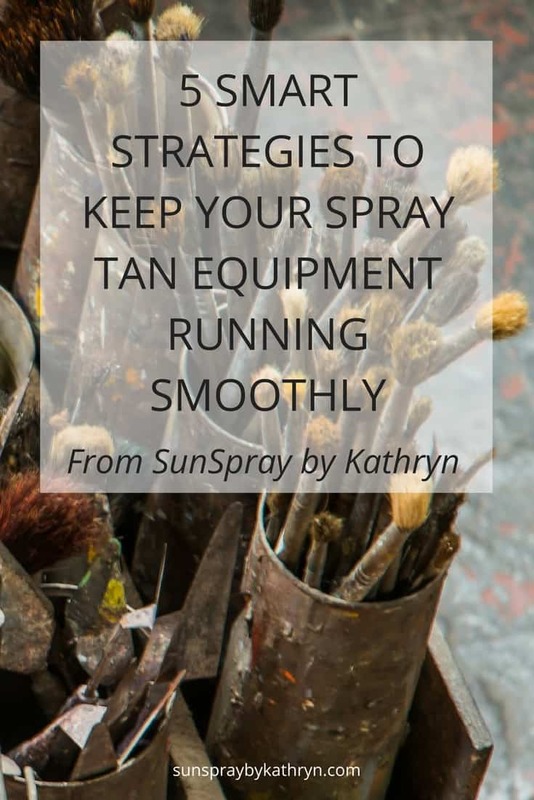 I am going to take you through how to identify the most common culprits and take a few simple precautions so you can keep your spray tan equipment operating at it’s potential for years to come, or at least until it’s time for an upgrade. Cuz who doesn’t like new toys!! Within this post there may be affiliate links to the products I am referring to. If you purchase a product through one of my links it will NOT cost you anything but I will receive compensation. Yes, your spray tan solution itself is the number one thing that can damage your spray tan compressor. It is important to protect your spray tan equipment from the very thing that it was designed to do– spray on a tan. By the very nature of HOW your spray tan machine works, the compressor is pulling in air and pushing it out through the gun creating a suction that drags with it anything that is floating in the air nearby, such as spray tan solution overspray. This pulls the spray tan solution inside the compressor gumming up the moving parts and eventually causing the compressor to overheat and seize up to spray no more. The way to limit the impact that the spray tan solution has on your spray tan equipment is fairly easy and largely involves keeping those parts of your equipment that come into contact with the solution clean and as far away from the source of the spraying that is possible. Meaning set your compressor on the other side of the room away from the area where you are spraying the tans. If you can have your machine under a counter or around the corner even better. Regularly cleaning any spray tan solution off your compressor and the filter will go a long way to keeping the spray tan solution overspray out of the inside of your machine, keeping your equipment alive and happily spraying on tans. Also, don’t fall into the temptation of putting your spray tan solution and PH sprays into a travel bag with your compressor if you are a mobile spray tan business. I know it’s tempting so that you don’t have to carry another bag – but it’s really not worth the risk as a leak could end your compressors life. If you do travel with them together make sure you have a sealed bag for the liquids. Lastly, is your spray tan gun set properly? This reduces the amount of overspray significantly as does choosing a spray tan solution that doesn’t hang in the air to begin with. There is nothing that worries me more than the thought of getting dust and dirt into my compressor. Compressors have moving parts and getting dust inside them can quickly put your compressor out of action. The movement of the air blowing through the spray tan gun and the compressor sucking in air makes for the perfect environment for dust to get sucked into your equipment if you are working in a dirty space. Ultimately the only protection against dirt is not taking your compressor to dusty places. Of course, that doesn’t always work if you are a mobile spray technician and you’ll need to do what you can to keep dirt and your compressor separate. Clean sheets and tape are always in my mobile spray tan bag; my shop floor is cleaned daily and reminding your mobile clients that you need a clean area to work in is helpful. Always be aware of your surroundings when you get to a location and begin setting up. Places like basements, garages, and laundry areas tend to not be the cleanest and may have dust in large quantities. Cover up the area where you will be spraying, taping down the sheets to create a clean space for your compressor to work. Make sure your filter is clean before you start spraying and clean your filter again as soon as you are done spraying. This will help to keep as much of the dust (now mixed with sticky spray tan solution) out of the inner workings of your spray tan machine. Moisture can harm your spray tan compressor in numerous ways. Water in the form of a spill or leak from a hot water tank or broken pipe at your studio can quickly end the life of your compressor. I never leave my compressor sitting on the floor (anymore) and always unplug it and put it on the counter when I am done with my last spray tan for the day to help keep it out of harm’s way in case an accidental leak happens. 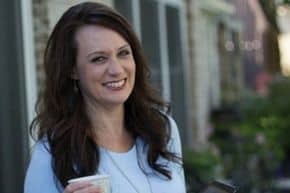 Yes, I had a leak in my basement a few years ago after a heavy rain and my home unit was on the floor and yes she got wet….and we have lived in our home for 14 years and had never had water in the basement before or after. Better safe than sorry, and I was sorry. Humidity is a quiet little demon when it comes to your spray tan equipment. Particularly noticeable when you move from one temperature to another with your compressor (for example from air-conditioning to your hot humid car) temperature changes can cause condensation. Every compressor that has ever stopped working for me has occurred in the middle of the summertime during a very humid spell. Keeping your compressor in a stable temperature environment is important to the life of your equipment. Never store your equipment in your car. This is a recipe for disaster. The downfall of many spray guns and compressor hoses comes quite literally when they are dropped or stepped on while in use. While some spray tan compressor hoses now come with flexible casings, many hoses do not and can crack or split if stepped on or kinked. I always have an extra spray gun and cups on hand just in case of an accidental drop and I also have electrical tape on hand at the studio and in my mobile bag for patching a cracked hose if necessary. Keeping your hose neatly coiled and out of the walk way and using a hook to store your spray gun helps to keep your equipment safe. Improper use and neglect of a spray tan machine will most definitely shorten the life span of your equipment. When used as they are intended and well maintained your spray tan machine can live a very long time giving you years of spray tans. Heavy use of a machine that is rated for light use is one of the fastest ways to overheat and seize up your compressor. Know the rating of use for your equipment. It is usually listed in the manufacturers description as 10+, 20+, or 40+. This will correspond to the motor sizes and recommended running times. Not keeping your equipment clean and maintained by regularly cleaning the filters will restrict the airflow to the internal parts causing them to overheat. Compressors need air to breathe and cool properly when they are running. Washing and completely drying (there’s that water issue again) the filters regularly is a very important part of keeping your spray tan equipment running at full speed. Hopefully you’re feeling a little more prepared to take care of your spray tan equipment keeping it safe from harm so the two of you can create years of beautiful sunless tans together. Below are the tools that I carry with me and have at my shop in case of an equipment accident. If I can’t finish my spray day because of a broken hose or cracked gun housing, then I am losing money and possibly clients. I also always have a backup compressor with me in case I have a machine go down and it’s not something that I can repair myself. This way I still get to finish out my day and I don’t have any disappointed clients. Clean white sheets for covering floor/furniture etc. As a small business owner, I can’t stock all the amazing products that are available in the world of sunless tanning. But I can give you my professional opinion. Do you have a mobile spray tanning business, home based spray tan business, or are you looking to start one? Then check out my tools of the trade area of this website for help in setting up your own airbrush spray tanning business. Love the article you just read? Think your spray tan clients would like to read it too?? Share my HOW TO’S and sunless tanning information with your clients on YOUR webpage or social media accounts by DIRECTLY LINKING to my webpage. Please don’t change or otherwise alter any content or claim as your own. No one likes a copycat. Hi, I'm Kathryn! I'm here to help you have the best spray tanning experience possible. When I'm not creating beautiful sunless tans, I am working with my students or writing for my blog sharing everything I know about how to get the perfect spray tan, how to give the perfect spray tan, and how to build a boutique spray tan business. When To Book Your Nail Appointment So You Don’t Ruin Your Spray Tan.